Relying on an experienced company to provide office relocation services is the best course of action for your business in Greensboro, North Carolina, if you want to ensure the move is executed without a hitch. 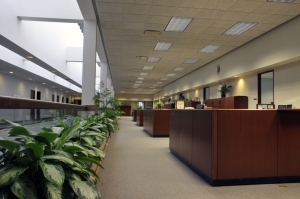 Relocating a business is no simple task, and there are a wide variety of factors that come into play, including determining whether or not a particular space can actually meet the needs of your company, and accounting for all your furniture and other office equipment – not to mention making sure that equipment is installed properly. To simplify this process, turn to Relocation Strategies Charlotte (RSI) for professional office relocation services. Hiring a full-service project management firm like RSI Charlotte that specializes in planning and executing corporate relocations can enable you to focus on the things that are most important – the day to day operations of your business – while leaving the complicated task of changing your business location in the hands of highly trained individuals. What’s more, with our professionals managing the entire operation, you can feel confident that the overall project will remain on schedule, and that you will receive the best value for your money. At RSI Charlotte, we always keep our clients interests at the forefront, ensuring we provide the best solutions possible. At RSI Charlotte, we have experience facilitating moves for small and large businesses alike, and we’re ready to provide office relocation services for you so that you can enjoy an efficient and cost-effective move. Contact us today to learn more about the benefits of partnering with our full-service project management firm. We are a woman-owned and -managed business that proudly serves Greensboro, NC, and all surrounding communities.